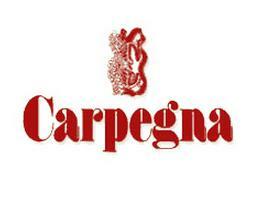 The Prosciutto di Carpegna PDO has very ancient origins. The first written evidence was in 1463, when the lord of Cesena, Malatesta Novello, decided to sell the property of the important Cervia salt mines to the Serenissima (old name of the ancient Venice Republic), with the exception of the right to use, allowing salting of pork thighs. 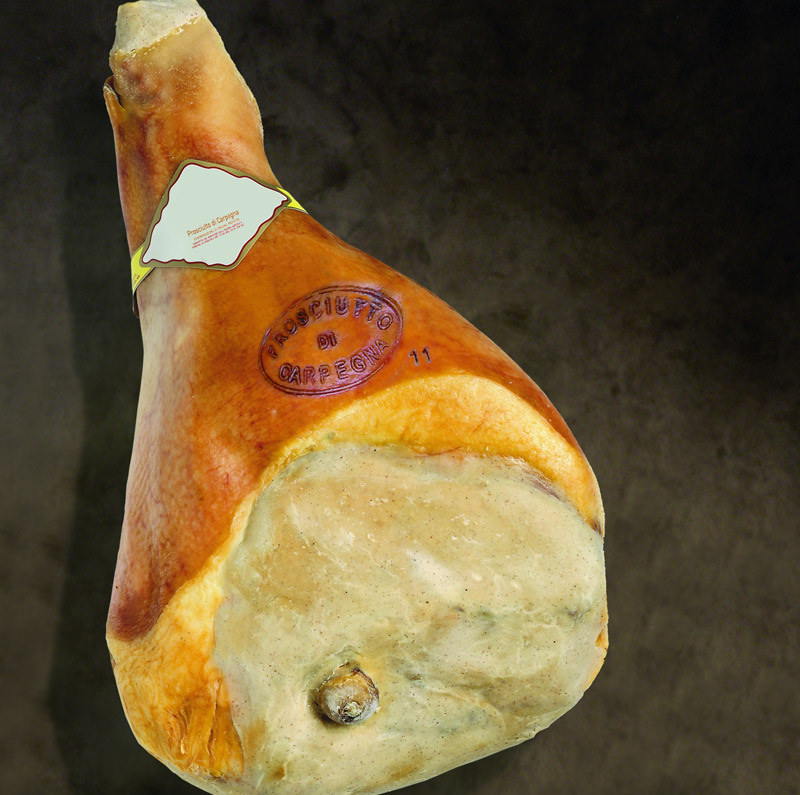 Nowadays the Prosciutto di Carpegna PDO is produced only in the territory of Carpegna, a small town in the Marches, using meat from thigs of pigs born, bred and slaughtered in specified regions (the Marches Emilia Romagna or Lombardy), not less than 10 months old and with an average weight of 160 kg. To produce the Prosciutto di Carpegna PDO the pig’s thighs are massaged and then salted with sea salt. They are put to rest in rooms with controlled temperature and humidity. After eliminating the excess of salt on the surface, it follows a maturation phase for about two months. After the prewash, washing and drying stage pre-condensation is performed in a controlled environment. The grouting is done by covering the unprotected parts of the rind (pig skin) with a dough of pork fat and natural aromas, the called sugna. The rest of the thighs in the maturing cells gets constantly permeated by the sparkling air coming from the valley. The maturation lasts at least 13 months. Round shape, tendind to be flat, with a sufficient layer of fat on the opposite side of the haunch. Weight not less than 8 kg. Color pink like salmon, with a solid fat and white on the outside. Delicate and penetrating scent of aged meat. Tender and supple texture of the meat. It is preferable to cut it by hand with a correct knife. Eat it as it is, without cooking or heating. Very tasty with apricots. The tradition of ham production in the area of Carpegna dates back to the time when Carpegna was a “vicus” (an aggregate of homes and lands, both rural and urban, where almost all citizens did the same job) of the nearby Roman town hall of Pitinum Pisaurense. This area has always been full of woods, with a large prevalence of oaks, that constituted a food base for breeding pigs. The tradition of raising pigs and processing meat is very ancient, probably dating back to the Galli Senoni tribes, who for centuries occupied the territory of Carpegna before the arrival of the Romans. 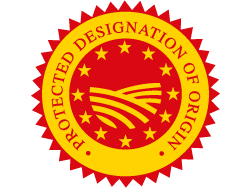 Protected Designation of Origin (PDO) recognized under Reg. no EU Reg. 1263 of 01.07.1.